Shower, Bathtub or Both? Will this decision affect my resale value? 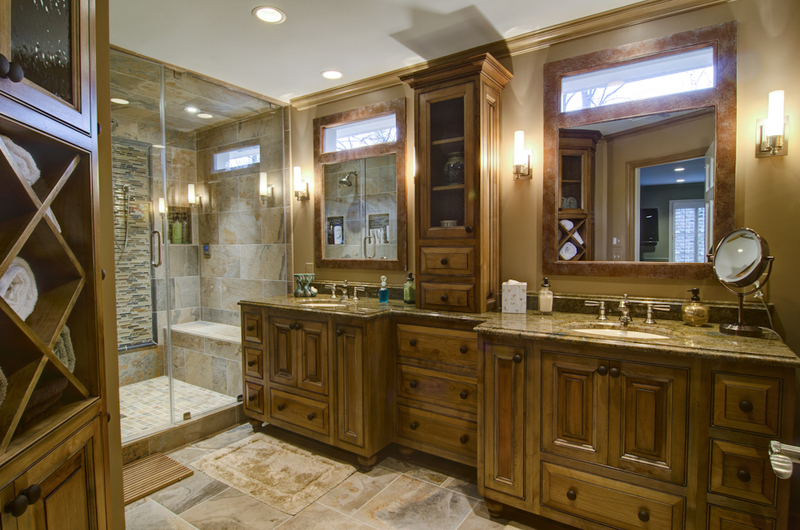 The master bathroom is one of the most important rooms in the house when selling a home. 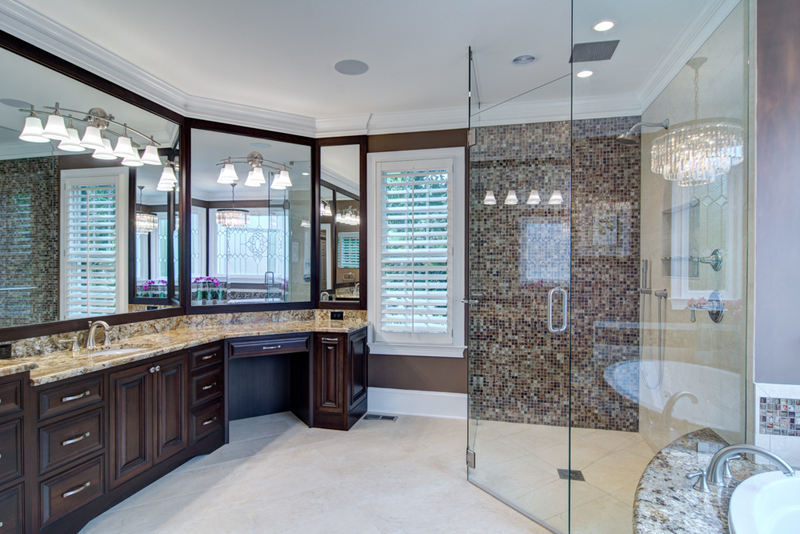 For years contractors have suggested that homeowners NOT remove the bathtub in a remodeling situation and instead focus on upgrading the fixtures and shower. 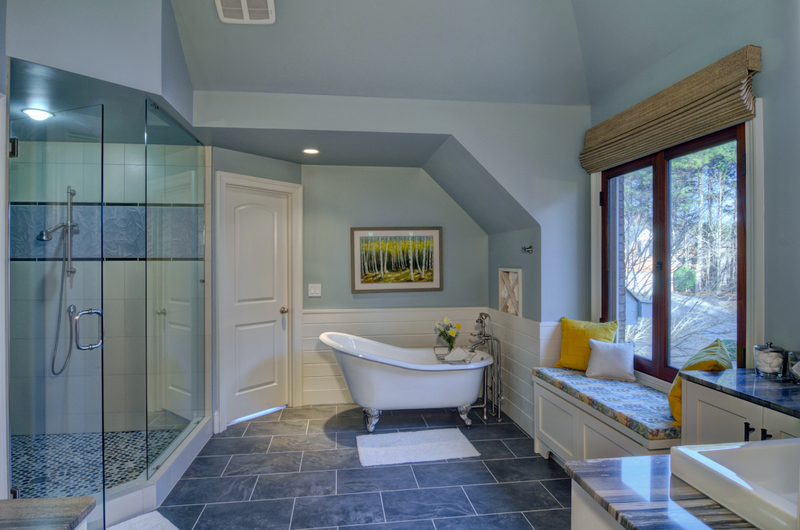 For years I’ve been telling my husband who is a general contractor, and founder of WEIDMANN REMODELING INC. that I’d prefer a larger more spacious shower and forget about the tub! Who has time to luxuriate in a bubble bath and eat bom boms today!! When and IF I ever had the time, I’d simply go to the secondary bathroom and soak !! Should you install a shower, or Tub or Both? This question is often posed when someone is worried about resale. The tipping point has finally hit that place where the consumer doesn’t demand a bathtub anymore. Consumers can rest and know that it is okay to have a larger shower with rain shower, multiple shower heads and bench seat. The Tub is not going away. The tub will always be an option whether it is a soaking tub w/ claw feet, or a spa tub w/ jets to ease the muscle pain. Caution… IF you have a spa tub be sure to keep the jets clean! Bob Vila, a well known home advisor, suggests using vinegar and baking soda as these cleaners will not damage the components of the motor. When selling a home you don’t want the inspector to find unsightly debri and bacteria flushed from the jets when he tests the spa! Far less has made a deal go south! So the lesson here is to go with what makes YOU happy! If you need more space in the Master Bath and removal of the tub makes for the best use of space… know you are fine in doing so! Keep a timeless elegance to the room with spa like qualities so the next homeowner will delight in whatever upgrades you choose.